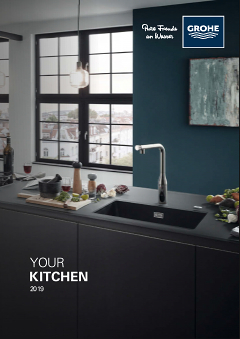 Crafted with a minimalistic design, this GROHE kitchen tap from the K7 range provides a multitude of convenient features that will help turn you into a kitchen professional. With its high 140° swivel spout, your pots will be filled quickly and effortlessly. The separate, flexible side spray will rinse off used pots or the entire sink area in the blink of an eye. That means you can focus all your attention on the preparation of delicious food. With our easy installation system, you'll have this sink mixer mounted effortlessly in no time. Finished in our mat GROHE SuperSteel coating, this tap has an attractive stainless steel look that is scratch resistant and durable. Why look any further if you've found perfection?